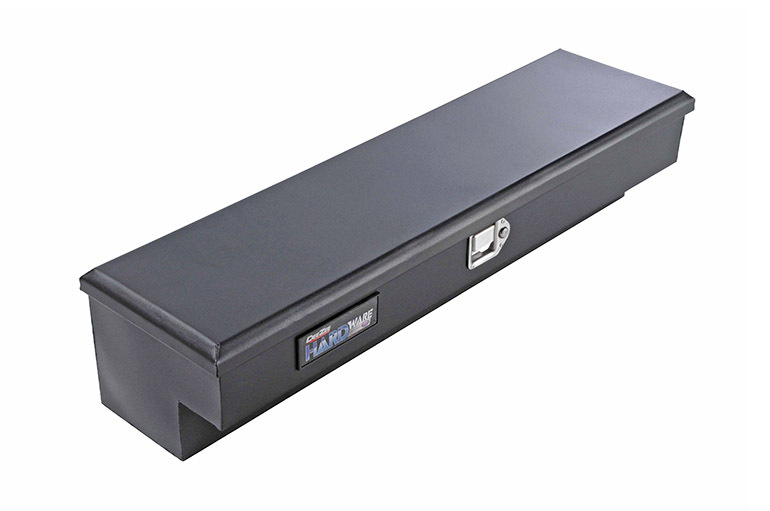 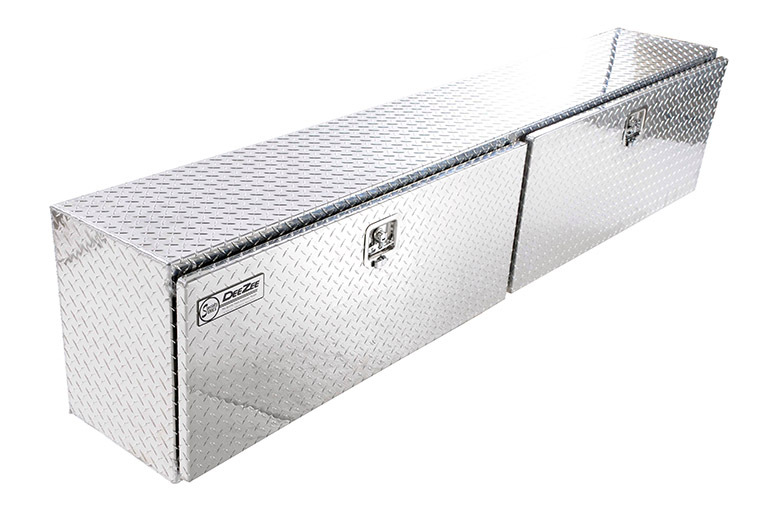 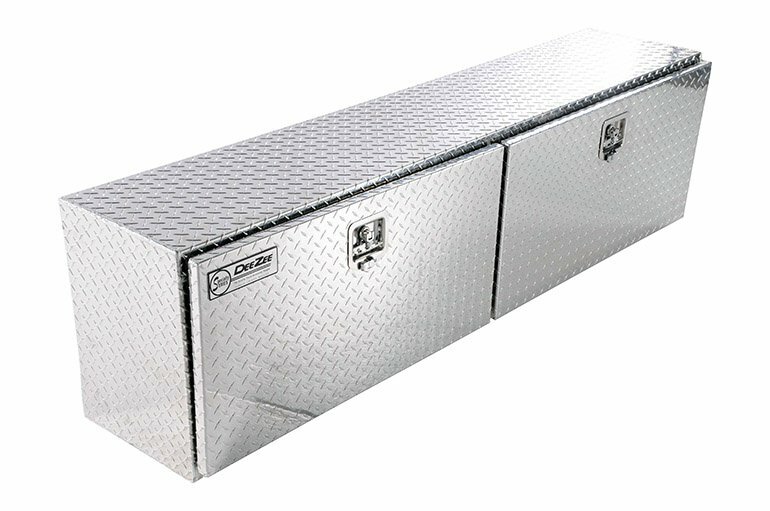 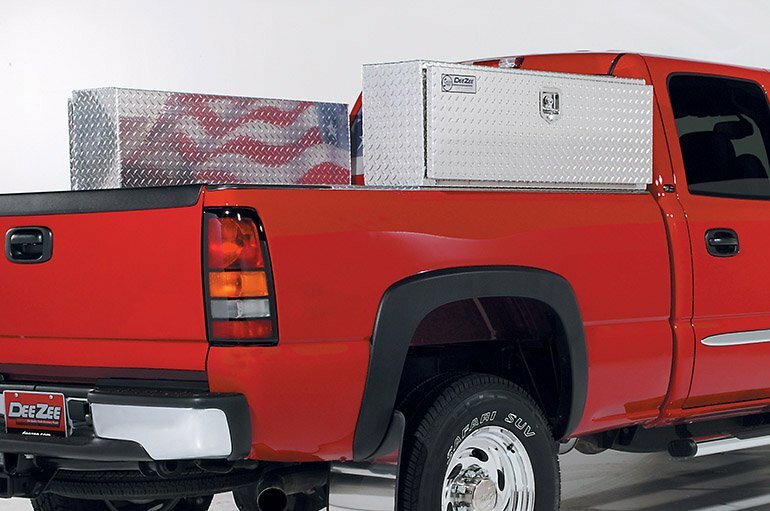 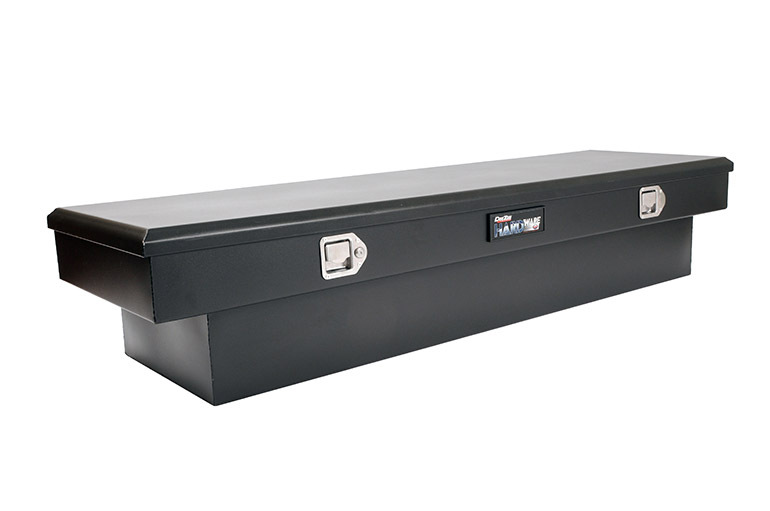 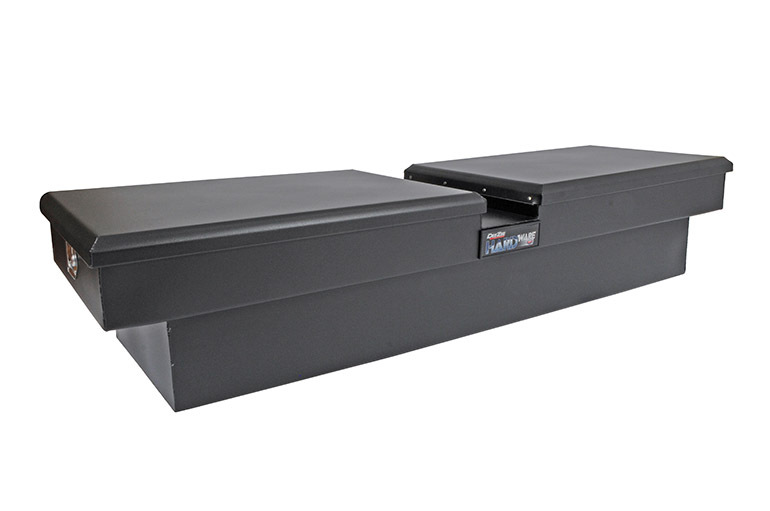 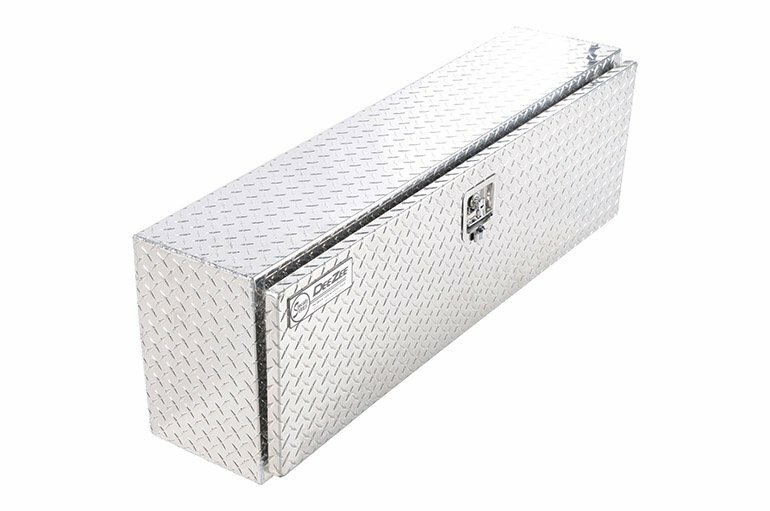 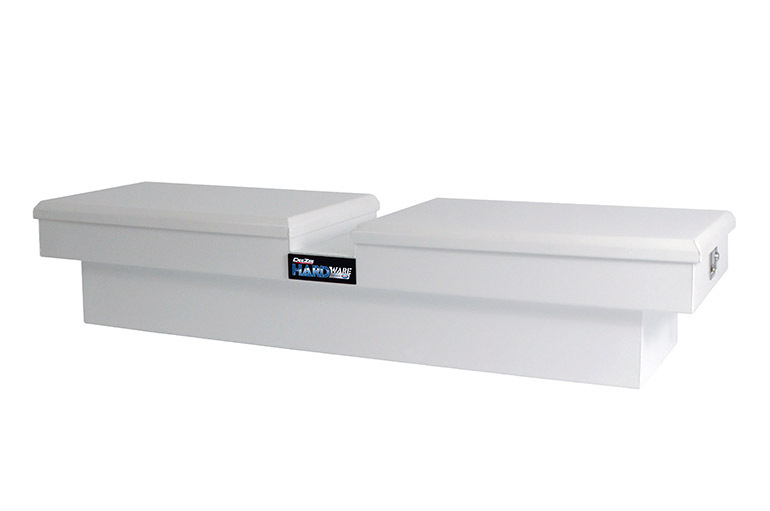 Topsider Tool Boxes gives your truck storage on top of your truck bed rails. 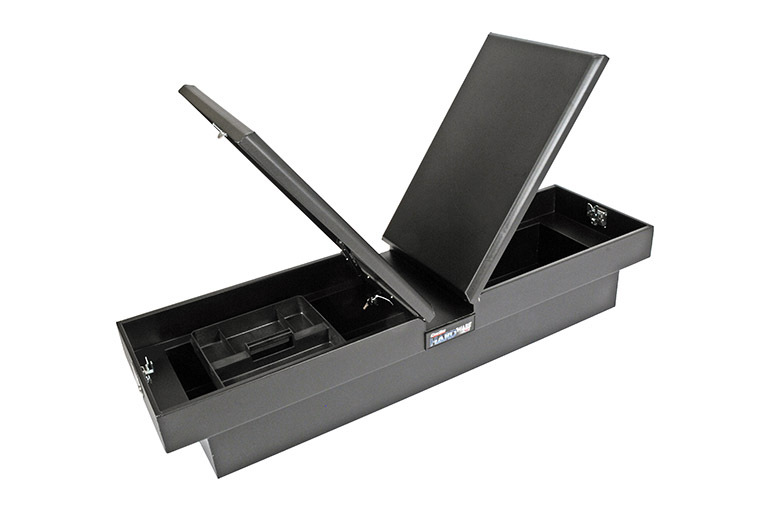 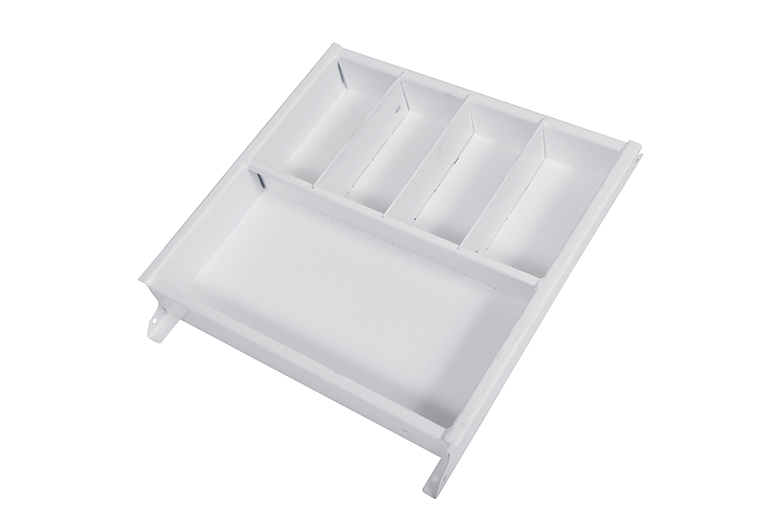 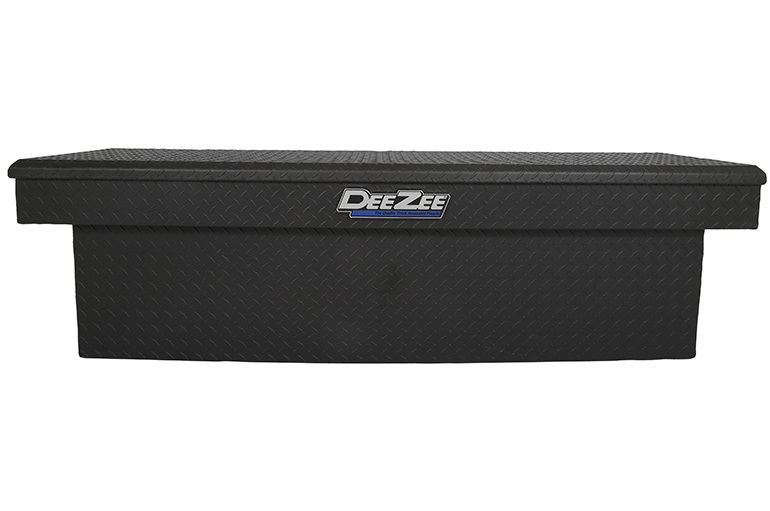 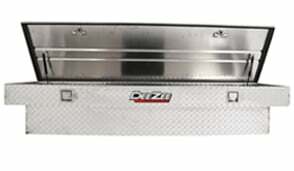 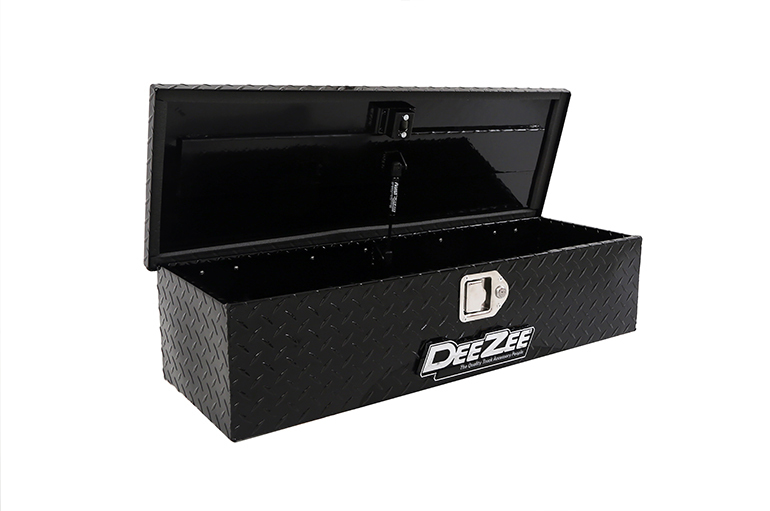 At Dee Zee we love taking advantage of wasted space, that’s why we’re so fond of our Topsider Toolbox. 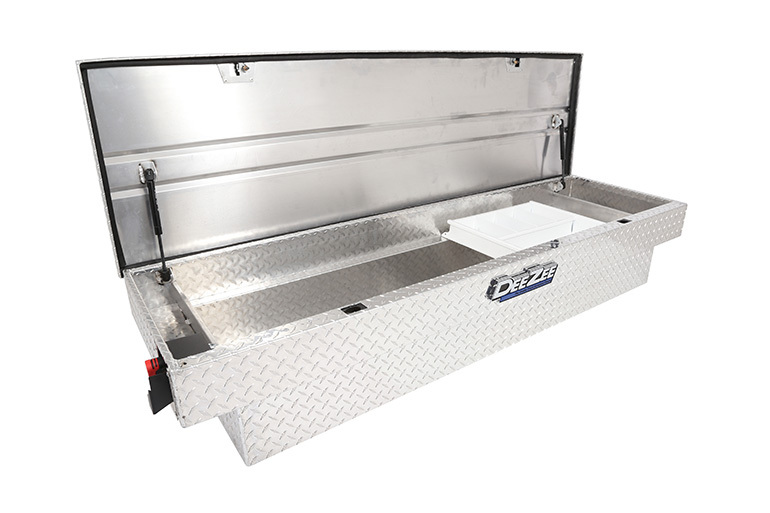 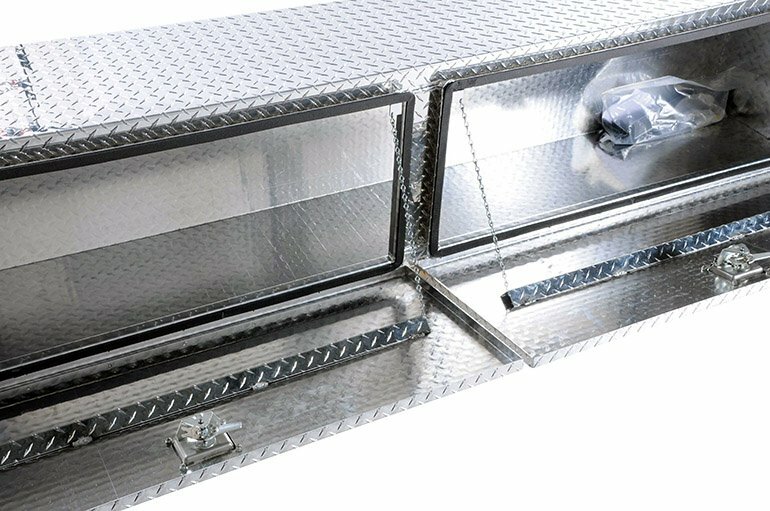 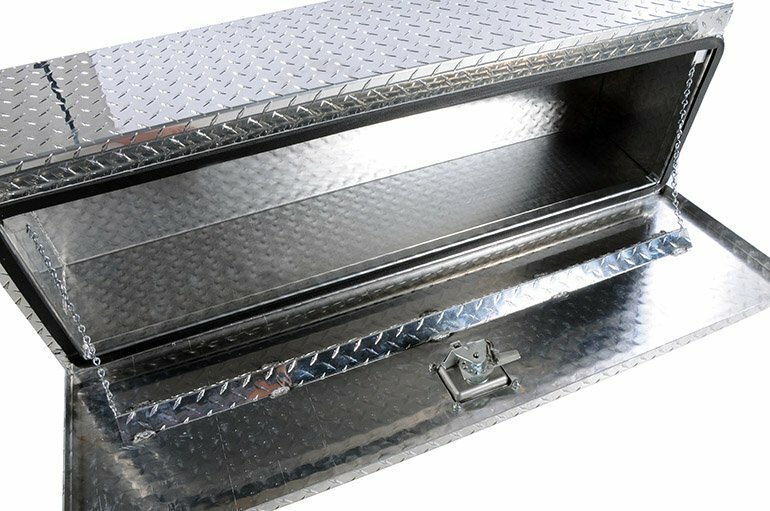 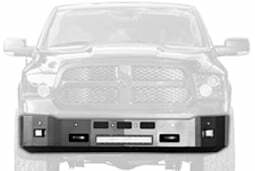 It provides plenty of storage for tools and supplies in a secure box on top of your truck’s rails- allowing full use of your truck bed for hauling cargo. 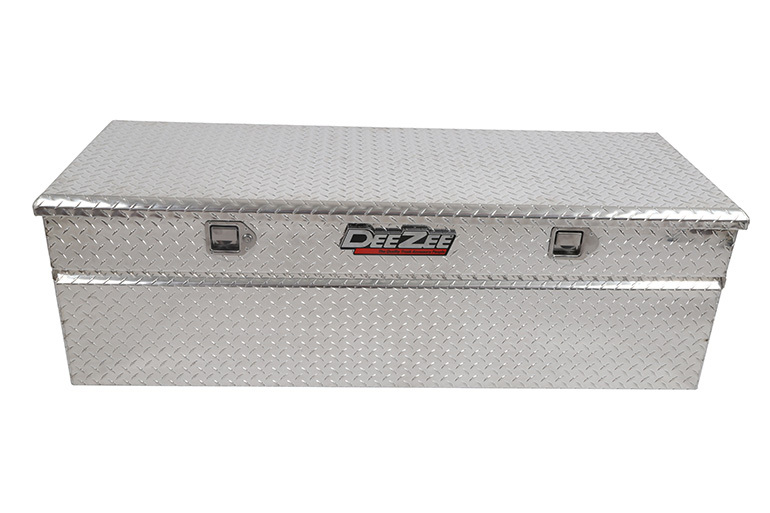 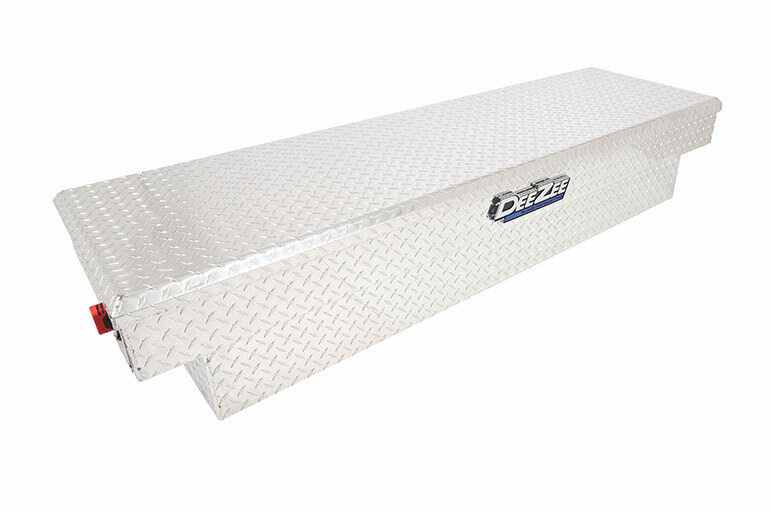 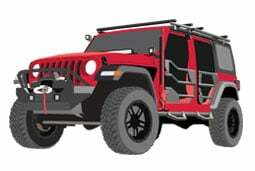 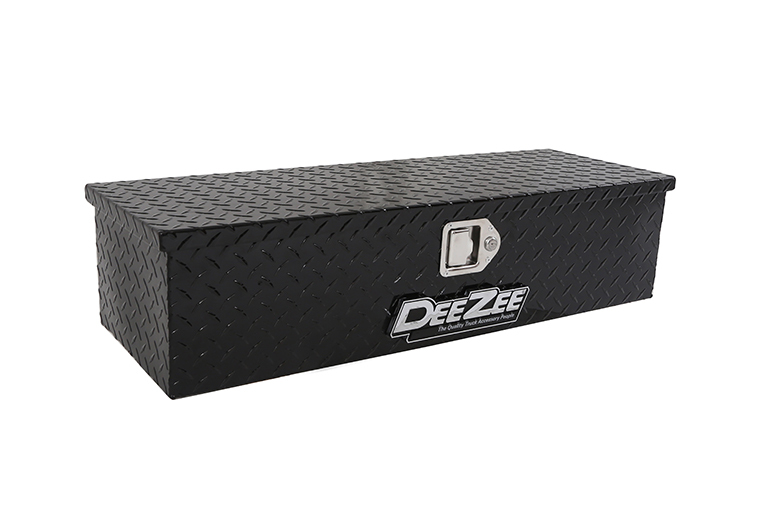 Constructed of durable Brite-Tread aluminum our Topsiders can be used alone or in combination with many of our Dee Zee boxes and accessories. 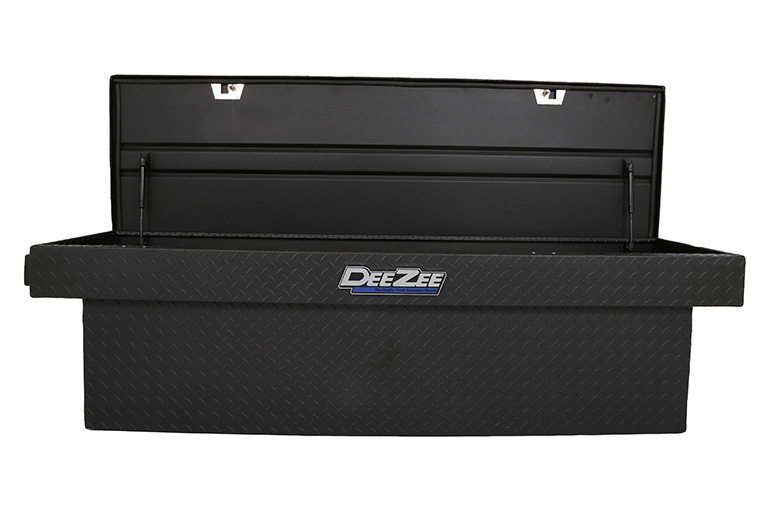 Dee Zee Topsider: 1, Mother Nature: 0. 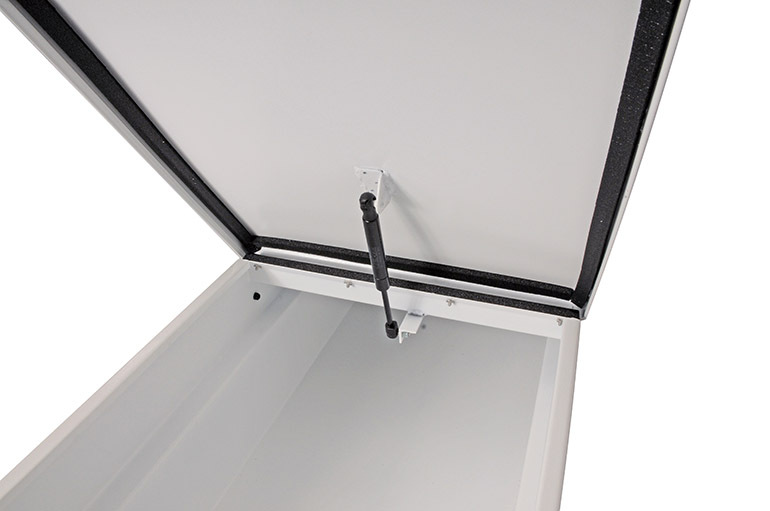 Our C-Channel leak proof design incorporates a one-piece neoprene rubber bulb seal to defend against outside elements. 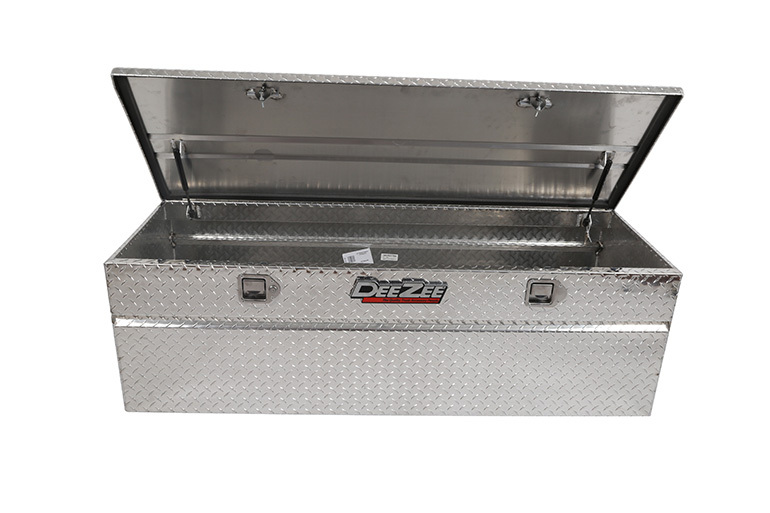 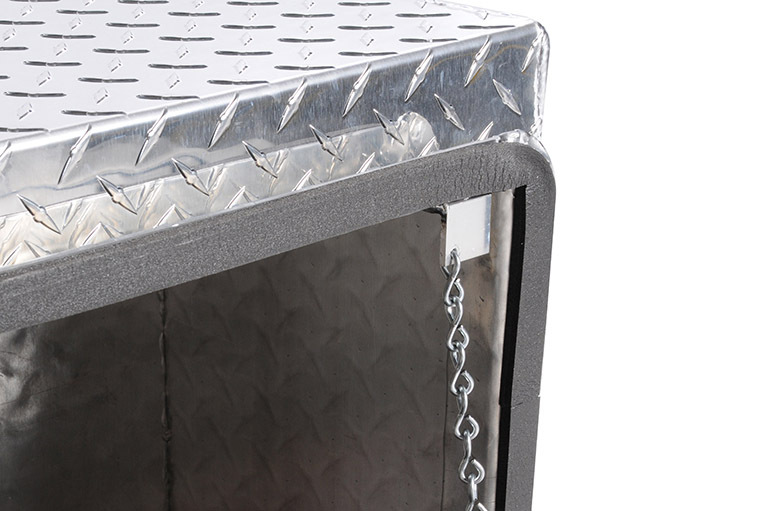 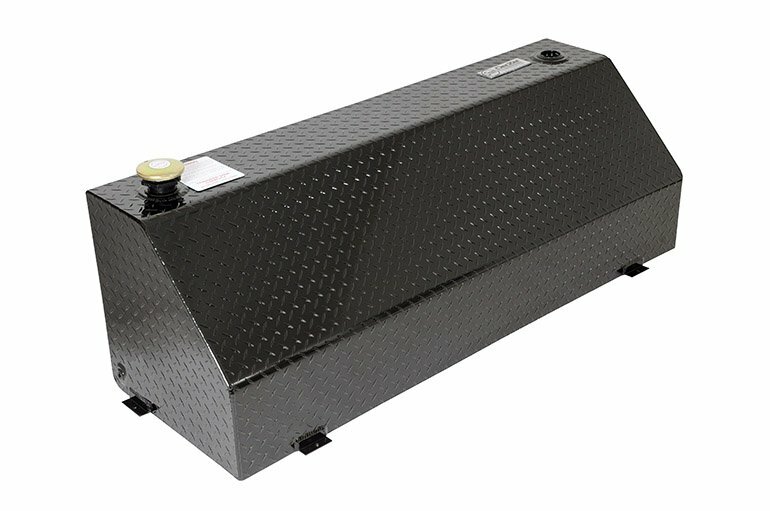 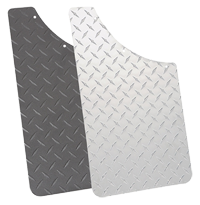 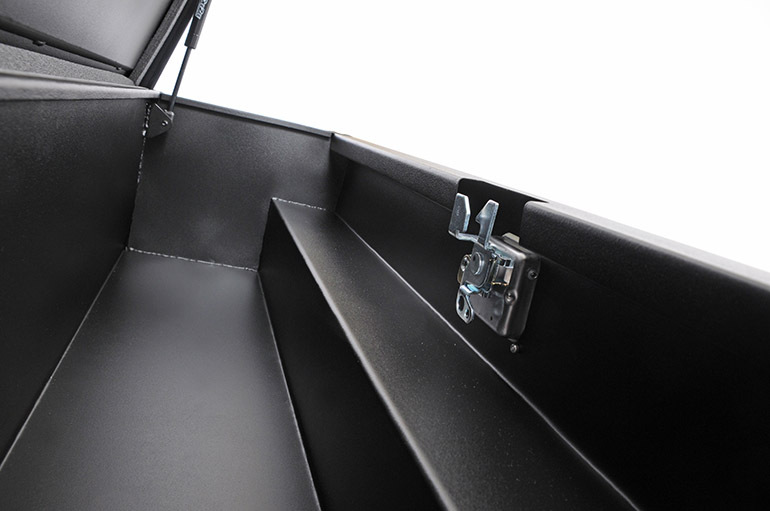 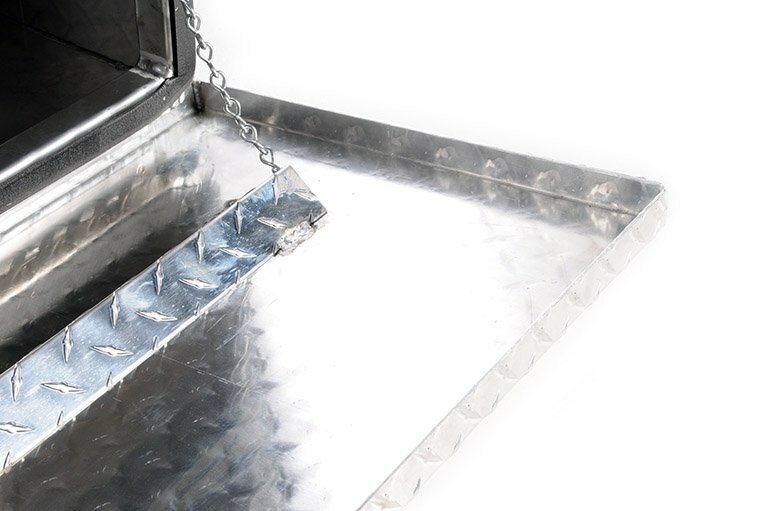 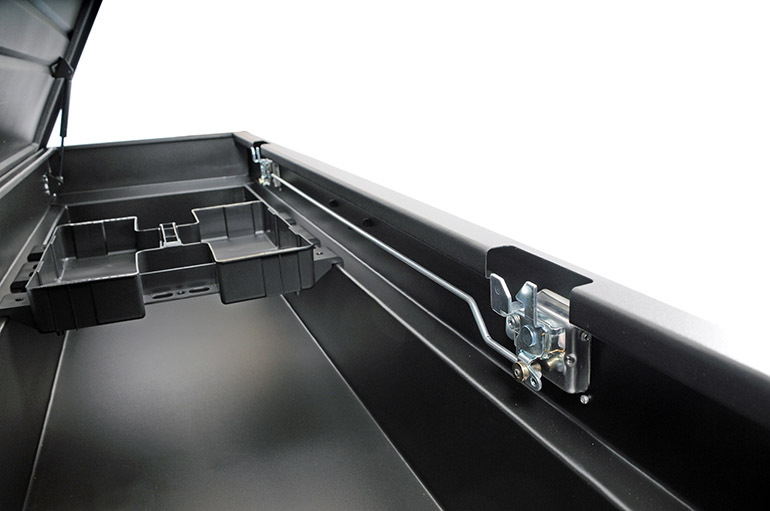 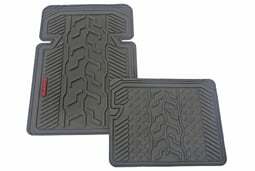 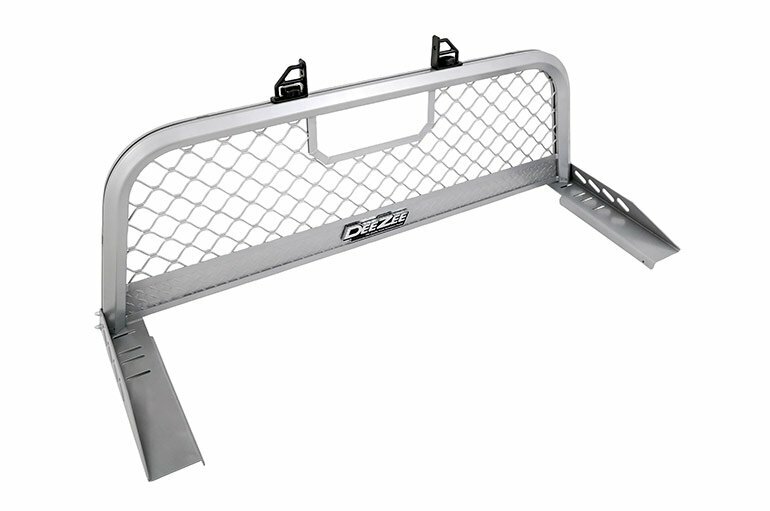 Drop down doors provide quick access to your tools easily from the side of your truck. 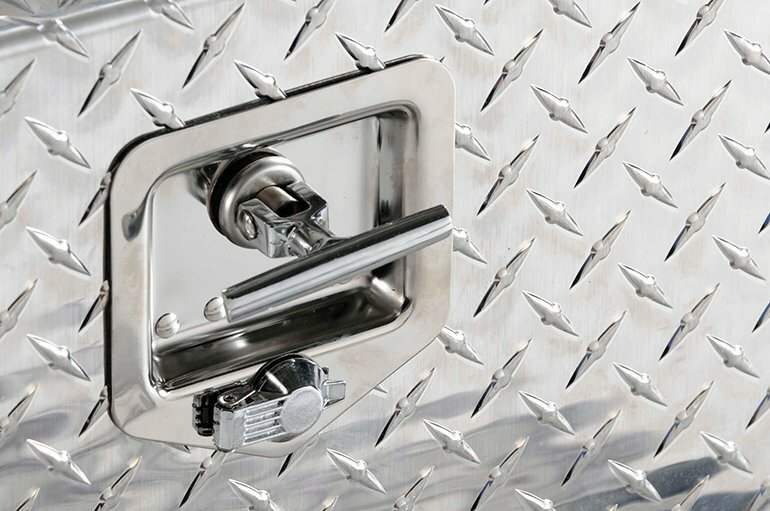 Locking stainless steel t-handle latch is easy to operate and offers security and peace of mind.